Ride starts in Tyngsboro, goes through Dunstable, Nashua, and Pepperell. 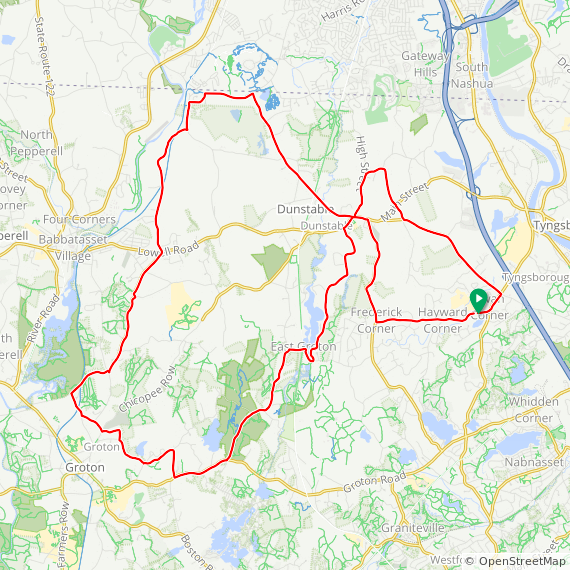 The Medium and Long routes include a loop through Groton. 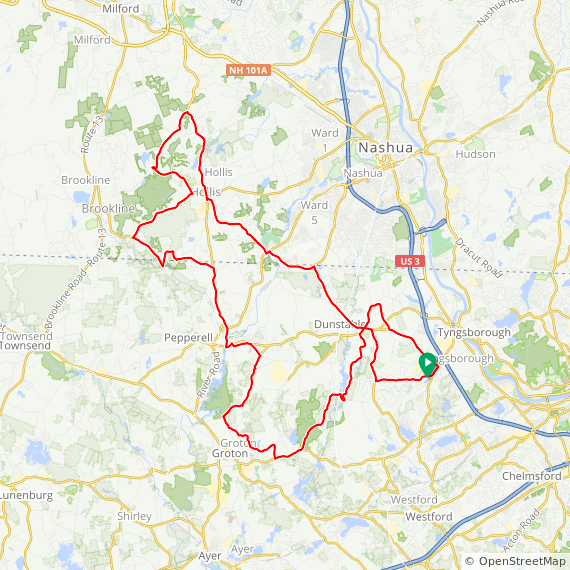 The Long route includes a very hilly 19 mile loop around Hollis, NH. 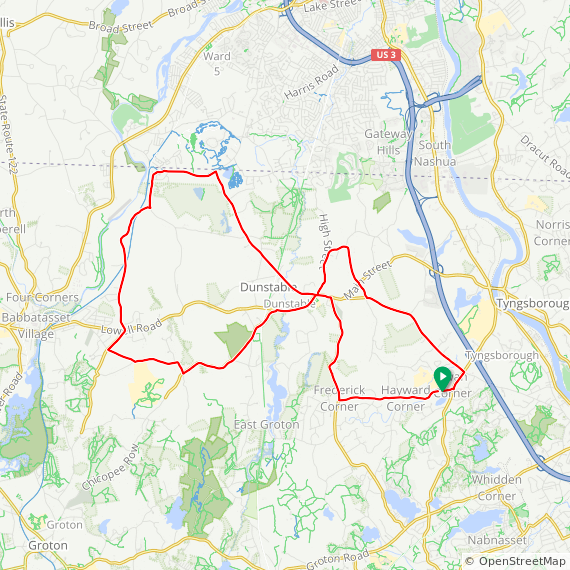 All three routes consist of rolling hills through scenic rural and some urban scenery. A part of each route rambles back and forth across the Nashua River Rail Trail. The Nashua River Rail Trail opened in 2002 and follows the former Hollis branch of the Boston and Maine Corp. railroad for 11 miles through the towns of Ayer, Groton, Pepperell and Dunstable, with a 10-foot wide paved surface for the entire length. The trail travels along a varied and scenic landscape, and no motorized vehicles are allowed.